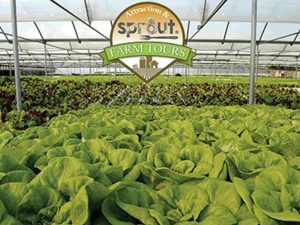 Follow along each month in Attraction magazine as Sprout takes readers on tours of Mid-Shore farms. 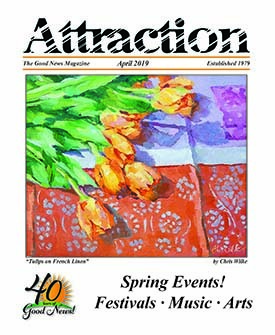 They will share stories from the road as they gather fresh produce from area farms. Sprout provides individually portioned, ready-to-eat meals using fresh, local and organic ingredients, delivered directly to a customer and to businesses. When it became clear in 2008 that the family farm needed to diversify to weather the housing crisis, the Holloways turned to hydroponic farming. The family’s successful sod farm, Quantico Creek Sod Farm, sold a majority of its product to golf courses. With the slow down of the housing market, the golf industry was hit as well. 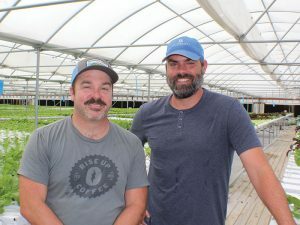 After getting educated in hydroponic farming, the Holloway brothers launched Baywater Greens in 2011. Diversifying in the farming industry isn’t something new for the Holloways, as the sixth generation runs the family farm, located on the north side of Salisbury. Matt runs the sod farm and Andy has grabbed the reins with hydroponics. Tim Fields was hired in 2011 to help launch the new side of the business. Tim Fields (left) and Andy Holloway met during their high school days at Parkside in Salisbury. 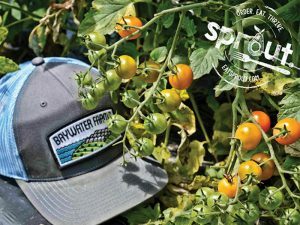 Together they run Baywater Farms, specializing in greens and heirloom variety vegetables. Today, the 25,000 square foot greenhouse is located across from the family home, circa 1915. Built from timber harvested by hand from the farm, the home is currently being renovated into the farm’s business offices. It’s amazing to think that 24 acres worth of crops are grown in this half-acre greenhouse using a fraction of the water, and negating the need for pesticides and manure. By manipulating the weather within the greenhouse, there is no waste. Leafy greens reign supreme in the greenhouse and all without an ounce of soil. It’s fascinating to see the Nutrient Film Technique in practice. There are 63,000 units, or heads of lettuce, in any given state of growth at one time. Within the next five years, Tim and Andy expect to double the greenhouse production with the addition of more greenhouse hoops. In addition to hydroponics and sod farming, traditional soil farming is in full swing as well. The focus is heirloom variety vegetables, especially tomatoes that are organic and non GMO. “We are bringing the farm back to what farming was originally,” said Andy. The farm was cleared by hand by the Holloways ancestors in the 1800s and was planted in food crops to sustain the family. 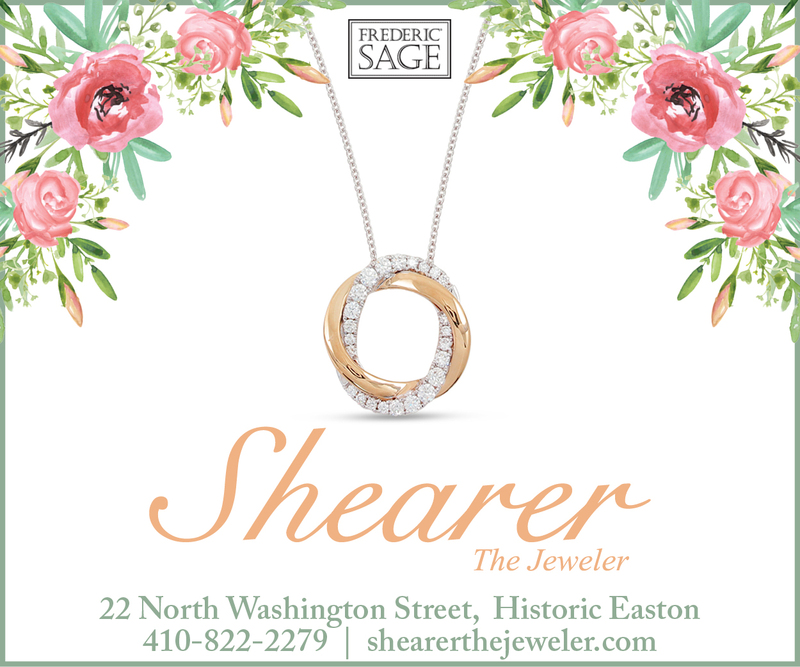 In the 1960s through the 1980s, grain was the crop of choice. “Now we are getting back to our roots,” said Andy. Like with hydroponic farming, the Holloways estimate what the next farming trend will be. Rather than saturate the market with produce already being grown well by their neighbors, the Holloways turn to unique crops to further differentiate it from other farms. Outdoors, heirloom tomatoes are grown by the dozens of acres from the Beefsteak variety to the specialty cherry tomatoes, such as “Maryland Mix.” As another example, Shishito peppers have been another huge seller for the farm.